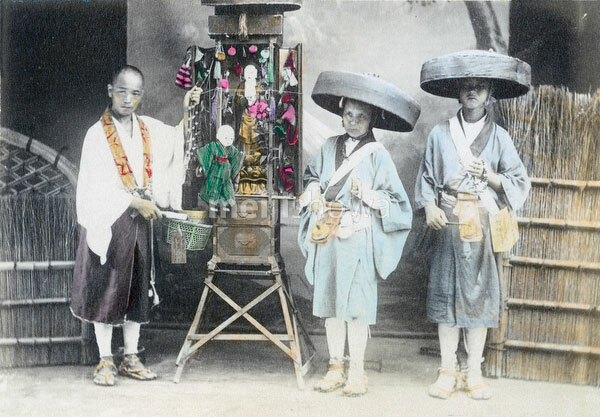 Three pilgrims (巡礼たち) with a portable Buddhist shrine. The two people on the right wearing kaki (bamboo hats) are pilgrim beggars known as Hachitataki (鉢叩き). They would move from house to house, stand at the front entrance and chant while ringing the bells hanging from their belt. The original image is small, so this photo doesn’t lend itself well for very large usages.